Mustang Resources (ASX:MUS | FRA:GGY) has taken another major step towards development of its Caula vanadium-graphite project in Mozambique, unveiling an upgraded JORC-compliant graphite mineral Resource estimate. 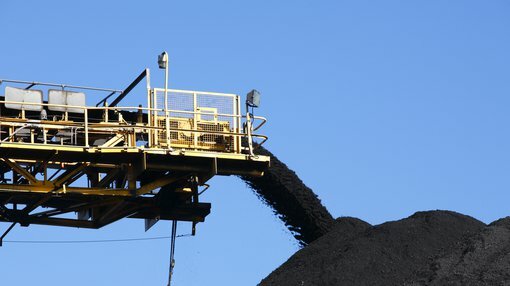 The Resource, which is all in the Measured category, is 21.9Mt at 13.4 per cent total graphitic carbon (TGC) (8 per cent cut-off) for a total of 2,933,100 tonnes of contained graphite. Significantly, this upgraded Resource represents a 317 per cent increase in the size from 702,600 tonnes of contained graphite (as estimated in December 2017) to 2,933,100 tonnes of contained graphite. Metallurgical testwork confirms exceptional quality graphite with more than 63 per cent of cumulative proportion in large to super jumbo flakes sizes (>180μm) and excellent concentrate grades of more than 97 per cent TGC. The Caula graphite and vanadium project sits along strike from Syrah Resources’ (ASX:SYR) world-class Balama graphite project, which is projected to supply 40 per cent of the flake graphite market by 2020. There is also substantial scope here for further Resource growth through exploration. A scoping study on Caula is set to be completed in the third quarter. Caula’s recently modified and improved flowsheet design enables integrated vanadium and graphite extraction. MUS is now looking at developing a low-cost high-grade graphite product, with the high head-grade and simplified flowsheet presenting even more substantiation for its scoping study. Following the merger of its Montepuez ruby project with Fura Gems (TSX:FURA), MUS is in an excellent position to emerge as a leading vanadium and graphite company. “The combination of the upgraded Graphite Mineral Resource and our recently announced maiden Vanadium Mineral Resource now paves the way for the fast-tracked development of the Caula project into production,” Olivier added. 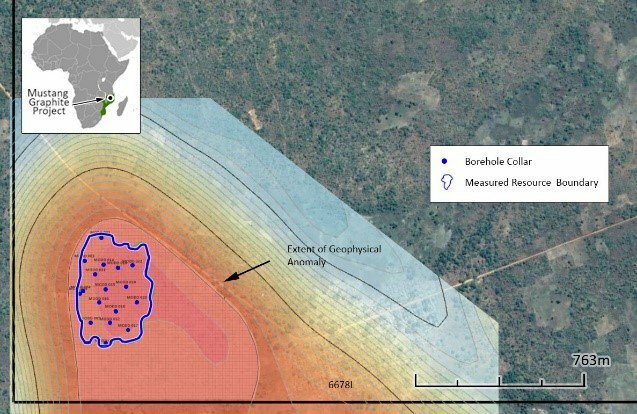 Caula sits within a world-class graphite province, and there is also significant potential to expand this graphite Resource estimate further through ongoing exploration and drilling. In the immediate vicinity of the Caula discovery, graphite mineralisation has now been defined over a 540 metre strike length. This mineralisation is up to 230 metres wide (estimated true thickness) and the depth is completely open-ended at the limit of the current drilling. A new program of diamond and reverse circulation drilling has been planned to test for both up-dip and down-dip extensions to the Caula deposit in this area. In addition to the possibility for further graphite and vanadium mineralisation immediately adjacent to the Caula discovery, there is also very strong potential to define high-grade graphite mineralisation over the much larger project area. MUS plans to systematically to drill test the large-scale TEM target through progressive step out drilling from the Caula discovery. This drilling has now kicked off. MUS said it is highly encouraged by the results received to date from its updated graphite Resource estimate and the Caula deposit as a whole. The combination of high-grade drilling results, positive metallurgical testwork, a large graphite Measured Resource estimate, large-scale untested exploration targets — not to mention the project's location within a demonstrated world-class vanadium-graphite province — confirms Caula’s potential to create significant future value for MUS. Following this morning’s release, MUS is on an ascendant trajectory, currently up 15.8 per cent at 2.2 cents.